Each and every language has its specific dialects. Software translators are incapable of interpreting and converting one language into another in the exact form. But on the other hand, human translators are completely capable of converting different languages, because they are aware of various factors that influence how the people in a specific geographic location speak. For example, in a diverse country like India which has a population of 1.23 billion, more than 30 languages are spoken, it is impossible for a software to properly translate one language to another. But through a human translator, this can be done, as people are aware of the social structure as well as other characteristics of a particular geographic location. Different people have a different way of writing. Jack Kerouac had his own writing style which cannot be compared to the way John Green writes. Every writer conveys a message which can be understood by people whose first language is the same, but when the translation through software takes place, the wordplay gets lost. The emotions and puns get vanished. The reader becomes incapable of reading between the lines. Translation software destroys the essence of all those words that are written by a writer which makes it less capturing and interesting. If you have ever tried translating one language to another through Google translate, you must always tend to have some comical or insensible translation. This is because all these professional software delivers word to word translation which does not make sense most of the time, this shows that the software cannot comprehend the nature of the human experience. Translation through professional software often results in poor user experience. It takes just a few seconds for the user to determine the efforts you have put in your content. Under such circumstances, ‘the first impression is the last impression’ and you definitely don’t want the customer to be dissatisfied from your services. Therefore, it becomes essential to use human translation so that the customer can get to achieve a better user experience throughout the work. Many words have a distinct meaning in different languages and cultures. The software translator often fails to notice these differences, which sometimes change the meaning of whole content. Thus, in order to avoid such issues, it is necessary to appoint a human translator who can convert one language to another, without the unnecessarily aroused cultural barriers. This further leads to a better user experience which is an important aspect of marketing as well. 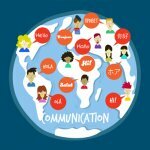 Every language and culture have different special phrases and different quotations which can be easily understood by the native speaker, but while translating the content to some other language, through software translator, very often it loses its unique essence and meaning. This further leads to misinterpretation of the whole concept which results in falsely perceived ideas. Thus, in order to avoid such chaos, one should always prefer to use a human translator who is fully aware of the cultural and ethnic background of the people he/she is working with or whom you are targeting to provide your services. 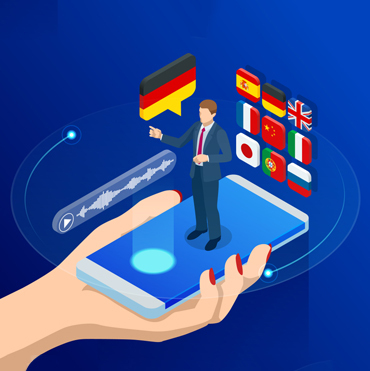 There have been many incidents where the professional translation software disoriented the meaning of whole translation, which further damaged the reputation of some well-established universal brands. We all remember that advertising fails, when Pepsi’s tagline, “Come alive with Pepsi!” was translated in Chinese as “Pepsi brings your ancestors back from the dead!” which still is kind of funny. Therefore, in order to avoid such negligence, it is necessary to appoint human translators who have a strong command over both languages. There are endless examples where many businesses have suffered due to blunders caused by software translation programmes. It is basic economics that whenever the cost of production decreases, the profit margin of the enterprise increases, but one must be careful while cutting costs because often they result negatively. This occurs in translation related ventures at a high rate because, in order to reduce the costs, professional software translators are used instead of human translators. But in the long run, the enterprises have to undergo various difficulties due to the bad user experience. Therefore, it is encouraged to use human translators for translation because they are capable of decoding the content in a far better manner than these professional software because human translators have knowledge about geographical location, writing styles as well as culture and ethnic background of the customers, which helps in better translation and the reputation of the business also grows.